I’ve had skewers in my kitchen drawer for months now so thought this weekend I would get them out. I decided to change up a recipe I previously posted (my Sticky Chicken Wings) and change it up, lowering the propoints even further. The result was delicious. 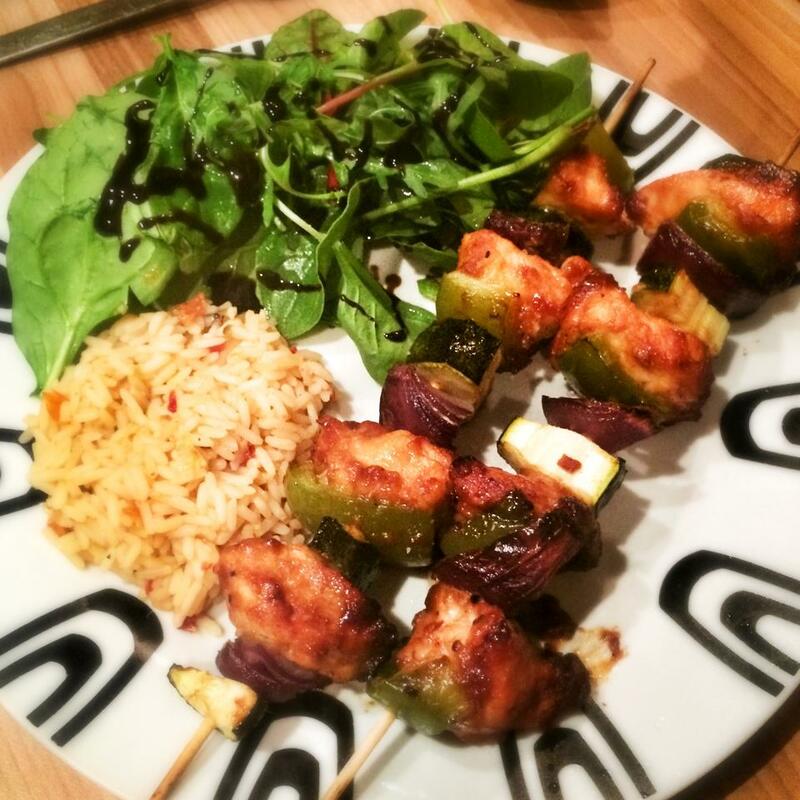 I served these kebabs this time with 40g of rice (for an extra 4sp) however you could also make these with Butternut Squash chips for a 0sp option! Preheat the oven to 180 Celcius and begin by making the marinade. Spray a saucepan with low Kal cooking spray and fry the onions and garlic for around 10 minutes until they are nice and soft (add a little water if you need it to make sure the garlic doesn’t burn). Then add the rest of the marinade ingredients, give a stir and simmer for a few minutes until you can see the sauce getting sticky. Then spray a baking tray with low Kal spray. Roll the chicken lightly in the seasoned flour and then coat in the marinade. Construct the kebab by layering a cube of each vegetable followed by a chunk of chicken. I had four chunks of chicken on each skewer. Top with any remaining marinade and pop in the oven for 20-25 minutes, turning regularly. Serve with a nice salad and some butternut squash chips if you fancy.